Heidi Allison-Shane is an international consultant and entrepreneur with a world class client list, which has included Pepsi Bottling Group, Ford Motor Company, CruiseBrothers.com, CruiseCompete.com, ResortCompete, VacationCompete, ExpertTravelAnswers, AllisonTaylor.com and CareerBrain.com. Heidi has traveled and lectured extensively with Lars-Eric Lindblad, who pioneered expedition travel – or “eco-tourism” , including the first expeditions to exotic locations such as Antarctica, Bhutan, China, Easter Island and the Galapagos. Her experience is diverse and her various assignments have included positions with: Princess Cruises, American Hawaii Cruises, Norwegian American Line and American Express Meetings & Incentives. 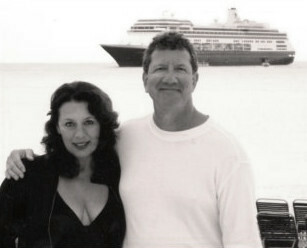 Ms. Allison-Shane has enjoyed over 67 cruises on various lines. She has managed projects for numerous Fortune 100 companies throughout the world including Africa, Antarctica, the Caribbean, Canada, Europe, Mexico, Asia, and South America. Her other books include The Academic Job Digest, The International Academic Job Digest and How to Find an Exceptional Nanny. She is a member of Society of American Travel Writers (SATW) and NATJA. Heidi lives in Rochester, Michigan with her husband and four children.